Your thyroid uses iodine to manufacture T4. About 80% of the thyroid hormone in your body is T4. T3 is a less common, but far more potent form of the hormone. T3 is refined from of T4 in the thyroid, liver, and pituitary gland. There are many endocrine disruptors including, dioxins, PCBs, and pesticides. They’re found in dozens of common products including plastic bottles, food containers, household chemicals, plastics, cosmetics, and pesticides. Prevention is the strongest medicine. Remove known endocrine disruptors and toxins from your environment. A goiter, or goitre in British English, is any enlargement of the thyroid gland, often causing visible swelling in the neck. Goiters can grow to tremendous sizes. Worldwide, the most common cause of goiter is iodine deficiency. When the thyroid isn’t getting enough, it grows larger in an attempt to capture as much iodine as possible. 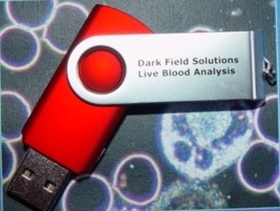 A test typically involves having your blood drawn and analyzed in a lab, who will measure your hormone and antibody levels. Thyroid health is complex—what is considered normal for one person may be abnormal for someone else. Certain medications can also skew results. Your healthcare provider should take your full medical history into account before making a diagnosis. 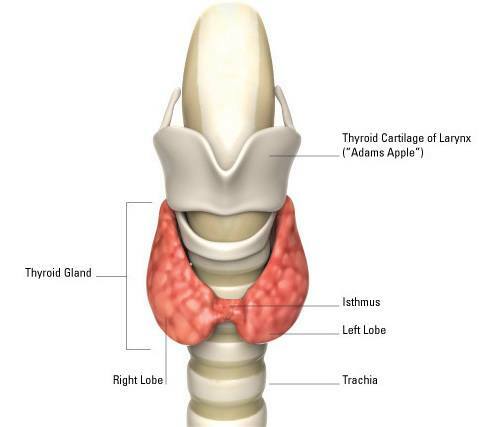 Of all the essential micronutrients, iodine is the most essential to thyroid health. T4 and T3 are made from iodine—without sufficient iodine, the thyroid cannot produce an adequate supply of these hormones. Iodine deficiency is devastating to human development, growth, and metabolism. Although the term “alternative medicine” is used most often, true alternative medicine is fairly rare—most people use a more integrated approach. As always, consult your qualified healthcare practitioner before making any changes to your diet, medication, or lifestyle. Stress is a natural part of life, but too much stress will cripple your thyroid health. I realize that if you have a thyroid problem (or any kind of health issue) it can be difficult to keep stress at bay. Try to keep a positive mindset, even in times of stress. Meditate or practice yoga regularly to clear your mind of stressors and relax your body. Eliminate stress from your environment whenever possible. Don’t fixate on things that are out of your control—it’s just not worth it. There are also things you can do that are just common sense for maintaining any kind of good health. Exercise regularly—whatever your body can manage. Whether it’s training for a marathon or just a stroll around the park, find out what your body is capable of and stay active. Sleep. Don’t just get some sleep, get enough sleep. The right amount of sleep is different for each person, but the standard wisdom of 8 hours each night is a good starting point. Listen to your body and adjust that figure as necessary. “How Does the Thyroid Work?” PubMed Health. U.S. National Library of Medicine, 7 Jan. 2015. Web. 30 Aug. 2016. “Chronic Thyroiditis (Hashimoto Disease).” MedlinePlus. U.S. National Library of Medicine, 03 Feb. 2016. Web. 02 Sept. 2016. “Goiter – simple.” MedlinePlus, U.S. National Library of Medicine, 23 Apr. 2015 Accessed 2 Sept. 2016. “Office of Dietary Supplements – Dietary Supplement Fact Sheet: Selenium.” National Institutes of Health, USA.gov, 11 Feb. 2016. Accessed 2 Sept. 2016.